MBDA, a world leader in missiles and missiles system, desires to be a major player in the Indian defence market and is viewing India as the fifth pillar of its structure in addition to current partner countries — France, UK, Italy and Germany. 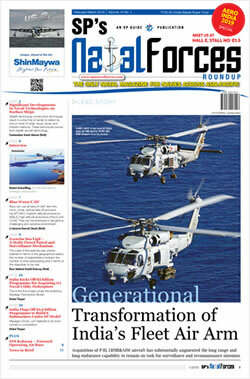 Loïc Piedevache, Country Head (India Operations), MBDA Group, in conversation with SP’s Editor-in-Chief Jayant Baranwal spoke about building a reliable, strategic and long-term partnership in India. SP Guide Publications (SP’s): MBDA was formed with the merger of key missile producers in France, Italy and Great Britain, and subsequent acquisition in Germany. Has this made you a world leader or was it a fait accompli? Loïc Piedevache (Loïc): In the past few decades, there have been many mergers and reorganisations in the defence sector worldwide. The merger of several companies has resulted in bigger turnover and a best use of resources. 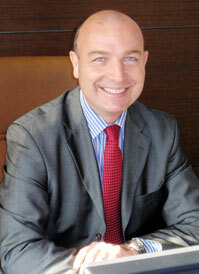 Loïc Piedevache has been the Country Head, India, MBDA Group since 2007. 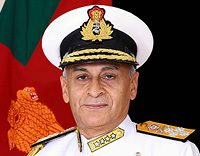 Prior to this, he was with Sofema and served as the Director, South Asia, from 2003 to 2007, Director, Latin America and the Caribbean from 2000 to 2003, and Office Director, Rio de Janeiro office, Brazil from 1994 to 2000. An alumnus of Collège Stanislas, Paris and Ecole des cadres Management School, Paris, Loïc has served as Overseas Trade Advisor for France Vice-President of India section from 2004 to 2008. He has a private pilot’s licence and is a recipient of the French National Defence medal. But a lot of hard work was required to effectively integrate the companies and ensure that their operating systems were coordinated properly. In order to create a suitable business model, resources had to be pooled in the most effective manner with the correct use of synergies. MBDA has set a benchmark in terms of international integration within the defence sector and has become a global player. SP’s: Can you please tell us about the company’s current profile? How do you position yourself in the global market today? Loïc: MBDA is a global player having business in defence markets across the globe. We are moving towards a situation where over 50 per cent of our turnover will come from export activities as opposed to domestic sales (UK, France, Italy, and Germany). SP’s: Can you briefly outline the company’s hiStory? What are the factors that lead to the merger? In hindsight, what have been its positive points? Loïc: The consolidation of Europe's missile companies began in 1996, when parts of Matra Defence and BAe Dynamics merged to form Matra BAe Dynamics (MBD). In 1999, the Aérospatiale-Matra Missiles was formed. In 1998, GEC-Marconi Radar and Defence Systems and Alenia Difesa combined their missile and radar activities to form Alenia Marconi Systems (AMS). In December 2001, MBD (including AMM) and the Missile and Missile Systems activities of AMS were merged and thus came up MBDA. In June 2005, LFK, a unit of EADS Defence and Security Systems merged with MBDA. The merger was necessary for the survival of the fragmented European industry. SP’s: What is the annual turnover of MBDA? Your website says you have as many as 45 products in service. What are your most sought-after products? Loïc: The growth was rapid and by 2005 MBDA had doubled its turnover to 3 billion Euros. The company’s current turnover (2009) stands at 2.6 billion Euros. It will be difficult to say what are our most sought after products. In terms of quantity (number not value) — large quantities of Eryx missiles and Exocet missiles have been sold. Mistral is in service with about 30 countries and will soon be in service on the Indian Dhruv/WSI. But MILAN manufactured under license in India by BDL has been sold in even higher quantities around the world. SP’s: MBDA is a multinational company. What is the collective view of the nations involved (in MBDA) with regard to transfer of the latest and sensitive technologies to India? Are there any conflicts of interest? Loïc: There are no conflicts of interest. MBDA’s identity is represented by advanced technology and not nationality. Transfer of technology (ToT) is a key feature that MBDA offers. Our customers do not wait for a product enhancement to be commonly available. If the customer makes specific demand for a product, we make it available for them after discussions with them about the specific enhancements in line with national specific requirements. SP’s: MBDA offers a range of weapons for all the three forces—land, sea and air. What edge does your range of weapons offer compared to your competitors? Is cutting-edge technology the USP of your group or do you have other aces too up your sleeve? Loïc: MBDA has many aces—we are definitely a technology leader. We are the only company providing weapons to all three of the armed forces. Weapons such as Storm Shadow/SCALP and Meteor are the world leaders in their categories and cannot be compared with any of other weapons. We combine the industrial and technological strengths of France, Italy, Germany and the UK together within one company. Meteor, the beyond visual range air-to-air missile dominates the air battle giving air superiority against the threats, provides an unmatched no escape zone. It has been ordered by the UK Ministry of Defence and five other European nations — France, Germany, Italy, Spain and Sweden. The Storm Shadow/SCALP is a conventionally armed stand-off air-to-ground long-range missile which can be deployed day and night and in adverse weather. SP’s: MBDA is one of the leading manufacturers of missiles in the world. In what ways are the 15 new products now being developed by MBDA different? Loïc: The new developments include intelligent warheads, modular systems, and new propulsion technologies among others. They are all designed to meet new customer requirements regarding new terms of engagement, new platforms, threats, etc. SP’s: When something becomes seemingly obsolete, do you phase out the product or upgrade it? Or is it a combination of both? Loïc: Due to budget constraints, some customers ask to extend the life of their existing missiles. In many cases we have provided life-extention service up to 5-10 years through our support team. As we respond to customer operational needs, it results in the long-term development of our product portfolio. Of course, we need to provide long-term support for in-service products and so we cannot just decide a product line as obsolete and ignore it. SP’s: Can you please elaborate on the ground-based air defence missile, air dominance missile and surface to surface missile systems manufactured by MBDA? Loïc: MBDA is a leader in providing a range of defence systems to create an effective layered defence system—from deployable short range systems such as Mistral and VL Mica to higher level systems such as Aster. Our air dominance range includes ASRAAM, Mica and Meteor to ensure the air-to-air battle. Dual Mode Brimstone and Storm Shadow/SCALP are available to deliver devastating precision in the air-to-ground attack missions. In the battlefield warfare, MBDA is offering MILAN and Eryx missiles. 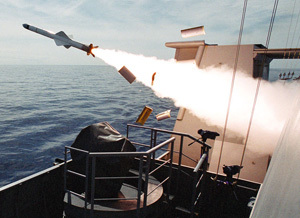 Concerning the maritime threats, we can offer a wide choice of weapons: the latest generation of Exocet family (MM40 Block 3) and Otomat Mk2 Block IV for long range targets and Marte Mk2 for middle range targets. SP’s: You lay a lot of emphasis on customer support. How do you ensure that every sale is followed by quality customer support? Loïc: Customer support is crucial for us. We ensure that the customer gets the maximum benefit from the equipment “through life support through life performance.” Our support service ranges from training, spares management, repair work, assistance with live firings, stockpile management, etc. Our customer service is highly personalized and does not come off the shelf or out of a catalogue. It is discussed, developed, adapted, customised and implemented in line with each and every customer’s specific requirements. Our approach is work in-country with the customer. SP’s: The Milan anti-tank missile has been in service with the Indian Army for a long time now. It is understood that a fresh contract was signed at the end of 2008 for an upgraded version? Please elaborate? Loïc: Milan is a real success Story between MBDA and Indian public sector undertaking Bharat Dynamics Limited (BDL) which started 30 years ago. Licenses for several versions of Milan missiles have been successfully implemented in India. The last version delivered to India is the Milan 2T which has a deadly tandem warhead and enhanced operational capabilities. SP’s: It has been reported that MBDA and the Defence Research and Development Organisation (DRDO) are jointly developing a new generation of low-level, quick-reaction air defence missile Maitri for the Indian Navy and the Air Force. It is understood that it has been offered to the Indian Army as well. Can you comment on the project? Loïc: MDBA is considering India as a strategic long-term partner and is keen to shift from a usual buyer-seller approach to a deeper relation through a strong co-development programme involving key transfer of technologies. Developing short range surface-to-air missile (SRSAM) is in sync with this strategic step. The 3 Forces will be potential customers for SR SAM as there is a specific operational configuration to match their requirements. SP’s: Will you also offer core technologies like the design of the active seeker head and the missile engine apart from the other subsystems? Loïc: Sensitive technologies will be transferred in the frame of SRSAM, but at this stage, we cannot disclose more information. SP’s: What about the missiles systems for the Indian Air Force (IAF) and missile upgradation for Jaguar and Mirage 2000? Is MBDA contemplating on participating in the mid-life upgradation programmes of these combat aircraft of the IAF? Loïc: Regarding the Mirage upgradation, MBDA has been requested to make an offer for the air-to-air weapon. We have proposed the MICA, the multi-mission air-to-air missile system which has outstanding maneuverability, high resistance to countermeasures, two interoperable advanced technology seekers and can be used in multi-target from long BVR interception to close-in dog fight. Regarding the Jaguar, MBDA is currently responding to a request for proposal (RFP) for a close combat missile. We are offering Asraam Combat Missile for Jaguars, which has already successfully been fitted on Jaguars in other air forces and successfully tested in “over-wing” configuration. SP’s: Is MBDA a part of the 126 medium multi-role combat aircraft (MMRCA) for the IAF? Loïc: MBDA is providing missiles in weapon packages of the 3 European OEMs including Dassault Aviation (Rafale), EADS (Eurofighter) and Saab (Gripen). SP’s: Can you please tell us something about MBDA’s multi-purpose combat vehicle project and its other variants? Will it be offered to India? Loïc: The multi-purpose combat vehicle is a versatile and deadly accurate air transportable vehicle equipped with a motorised turret, with electro optical sensors. It has a small caliber gun and four ready-to-fire missiles that can be operated from an interior firing console. It will be offered to India if there is a requirement. SP’s: Are you working on any other joint venture with BDL? Loïc: MBDA does not have any JV with BDL. We are providing production licenses to BDL. SP’s: Has MBDA established any joint venture or partnership with any Indian company in the private sector or do you propose to do so to meet the possible offset requirements? Loïc: MBDA is looking for a strong, reliable, strategic, long-term and fruitful partnership with India. In this regard, we are having advanced discussions with a major private Indian group. This partnership will be a structured and comprehensive one and will meet all the procurement requirements. We are looking for a partner having complementary technologies and skills, a strategy consistent with MBDA’s global strategy, in order to become / behave as a source or an equal partner, able to export from its home base, share MBDA views on collaboration with SME’s, DPSU’s, and be recognised by the Indian authorities as a strategic industrial asset for the country. SP’s: What are your long-term plans for India? How do you see the potential? Loïc: Besides BDL, we have also been working with Mazagon Docks Limited (MDL) and Hindustan Aeronautics Limited (HAL). We welcome the developments with regard to foreign direct investment (FDI) in India, which is at present 26 per cent. Emergence of private sectors would be fruitful to complement the public sector. MBDA wants to be a major local player in India. MBDA is seeing India as the fifth pillar of its structure after the four domestic countries (UK, France, Italy, and Germany). SP’s: How do you look at the future? Loïc: We work 20 years ahead of time!